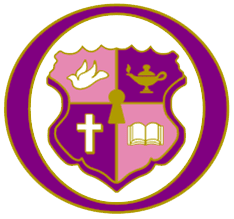 Shining a light on domestic violence in Central Ga. - Kappa Epsilon Psi Military Sorority, Inc.
Shining a light on domestic violence in Central Ga. The Salvation Army brought awareness to domestic abuse, along with drug abuse and breast cancer on Saturday. According to the Salvation Army Safe House, Georgia has the eighth highest domestic violence fatality rate. Starting at 11 a.m., members of the Salvation Army and volunteers with Kappa Epsilon Psi hosted its first Community Awareness Festival at Fountain Park in Warner Robins. They had information for women going through abuse on-site. Warner Robins resident Sandra Jones says she was a victim of domestic abuse while in college. She tried to leave her boyfriend, but when she tried to leave, he held her at gunpoint. She says she tells others her story to help them overcome. Safe House has a 24-hour crisis line. If you're going through an abusive experience and would like to call, their number is 478-923-6294. On October 20, they'll host a Candlelight Vigil at Sacred Heart Catholic Church from 6-8 p.m.
At the vigil, they'll read the names of 50 women, men and children that lost their lives due to domestic violence related crimes in Georgia.